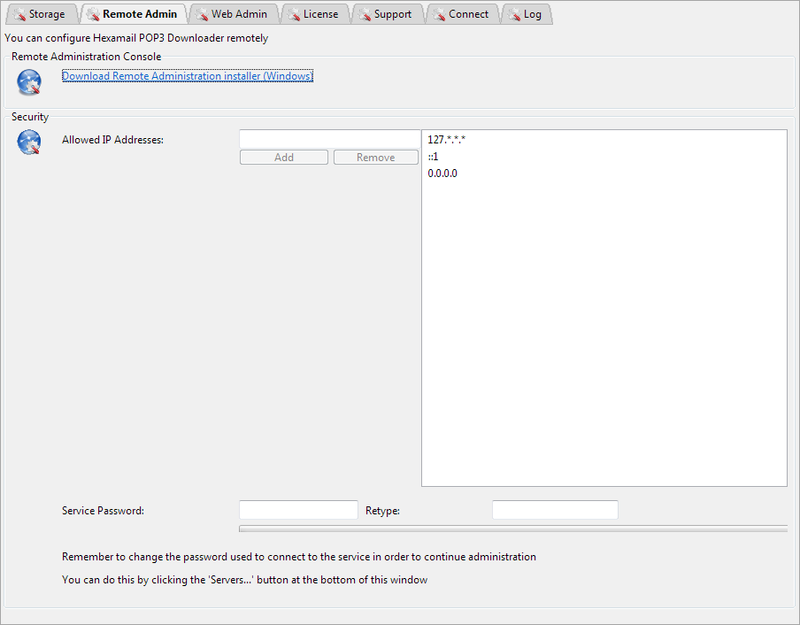 The administrator password is used to ensure that only the authorized administrator of the Hexamail service can use the interface to configure Hexamail Guard. Once you have applied a password change, you must also press the Servers button and set the correct password for the connection, otherwise Hexamail Guard Administration interface will no longer be able to connect to the service you are administrating. The password is typically only used for remote configuration.